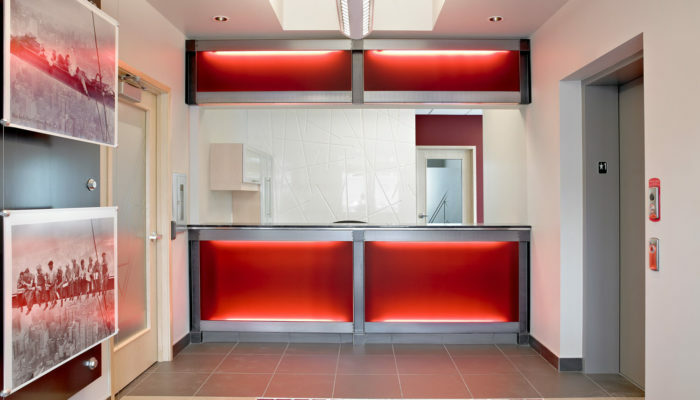 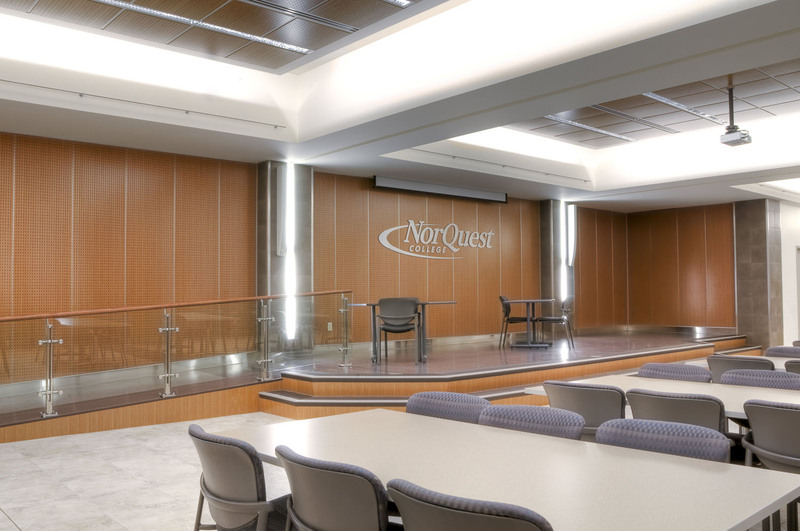 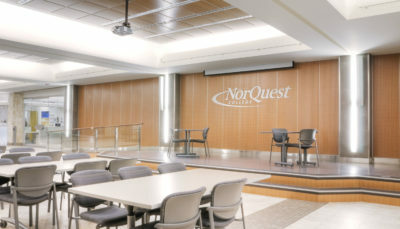 NorQuest College Student Activity Centre : Wolski Design Group Ltd.
With NorQuest’s student population growing, the Student Activity Centre’s new design relieves overcrowding at the college’s entrance. 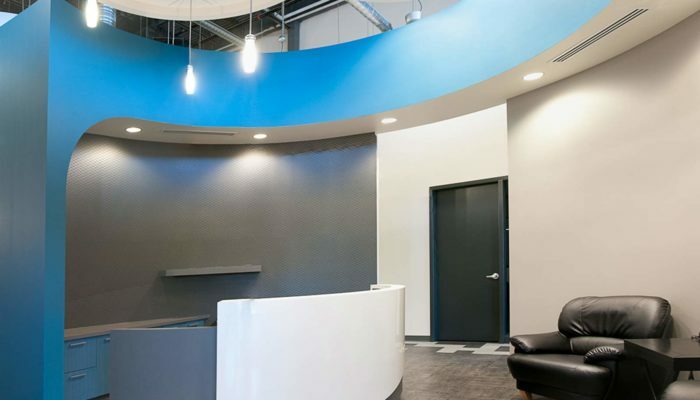 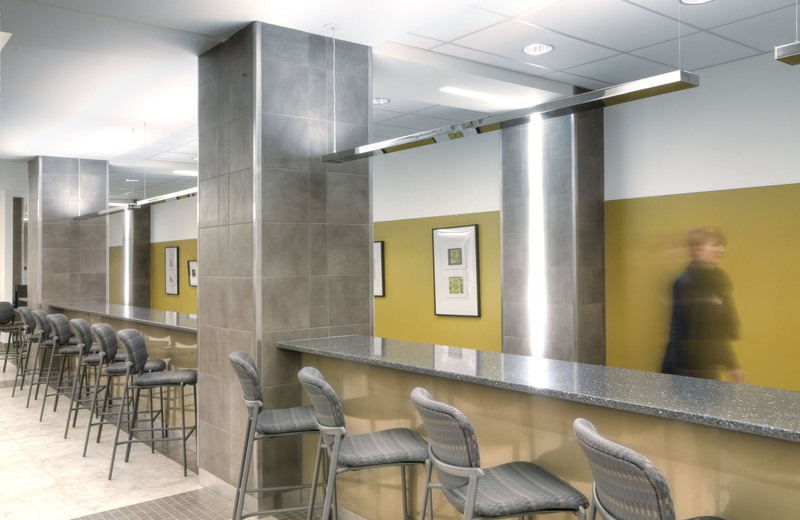 Removing the auditorium and infilling the floor allows an open and welcoming area for students to gather. 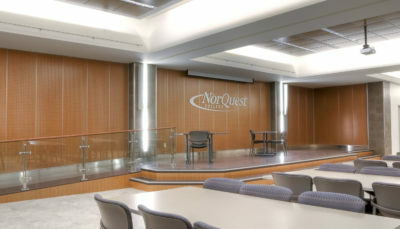 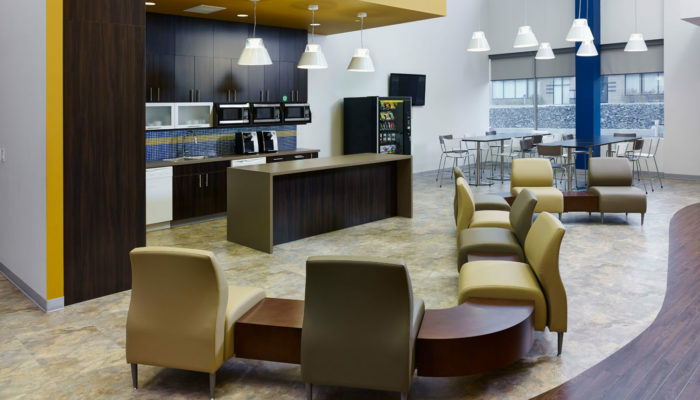 This is a multi-function space that encourages community, easily reconfigured for presentations, social gathering and studying. 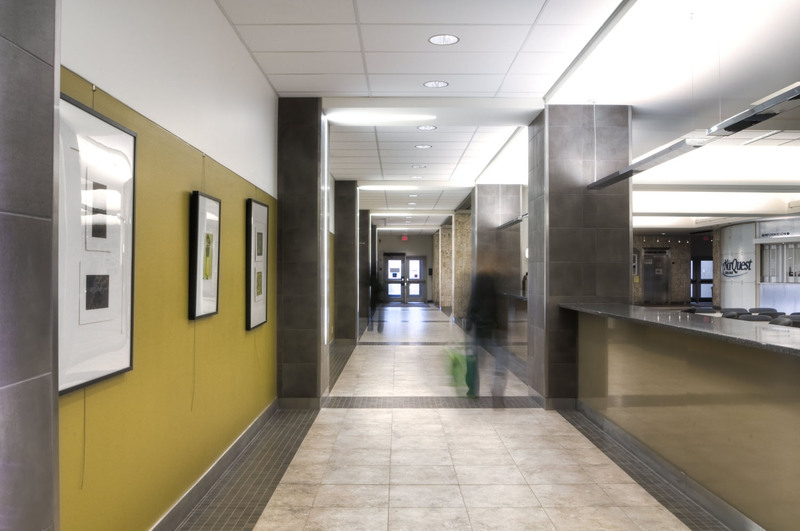 A mosaic donor recognition wall at the entrance reinforces the vibrant array of people and cultures that make up the student population. 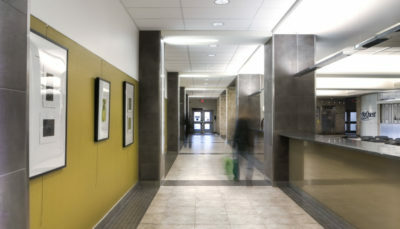 Display rails feature unique student art, while a standing height counter leading from the circulation corridor delineates gathering areas. 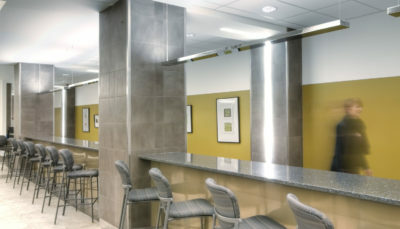 Recessed lighting in columns visually minimizes the length of the corridor. 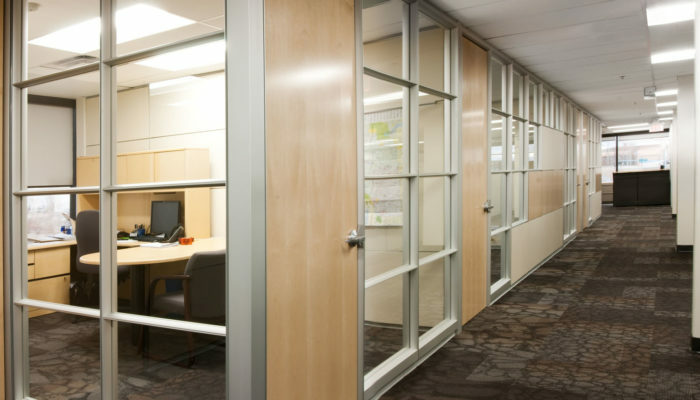 Rich wood ceiling and wall tiles add acoustic value, creating a classic look for the space. 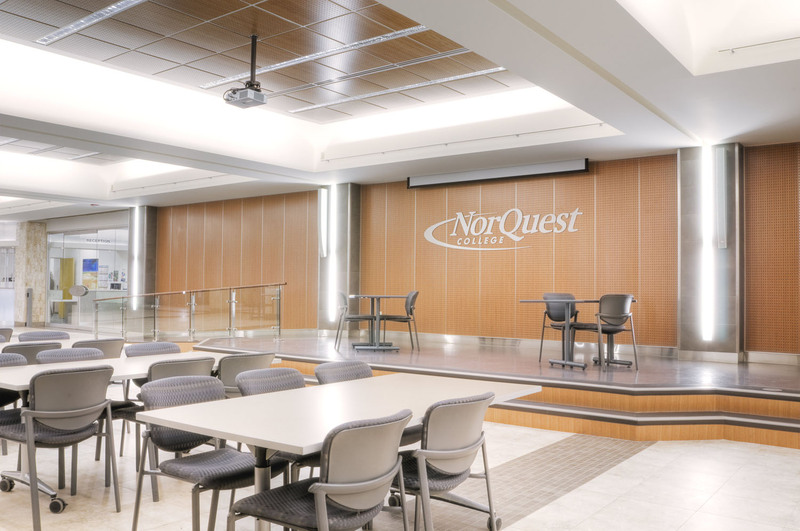 This is a multi-function space that encourages community, easily reconfigured for presentations, social gathering and studying.